Members of the Taute lab are excited to share their passion for understanding the natural world with others! Marianne (left) and friends from the MSI at the festival Washington, D.C., in April 2018. 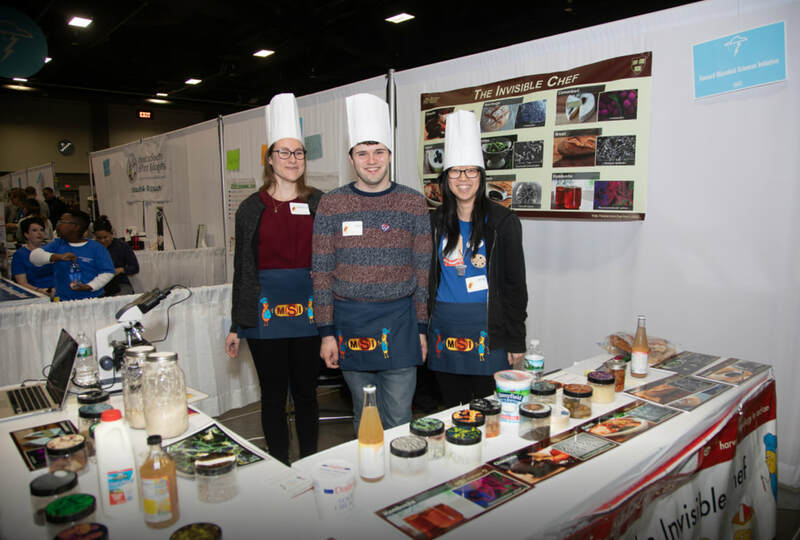 Postdoc Marianne Grognot joined members of the Harvard Microbial Sciences Initiative (MSI) in spreading the word on how microbes contribute to some of the most delicious foods humans prepare and consume. The 5th USA Science & Engineering festival in Washingston, D.C., attracted over 300,000 visitors! Physics can explain many phenomena observed in biological systems, and many organisms use cool physics tricks in solving problems. Katja acted as a guest educator at the Museum of Science in Boston, conducting hands-on experiments with young visitors. 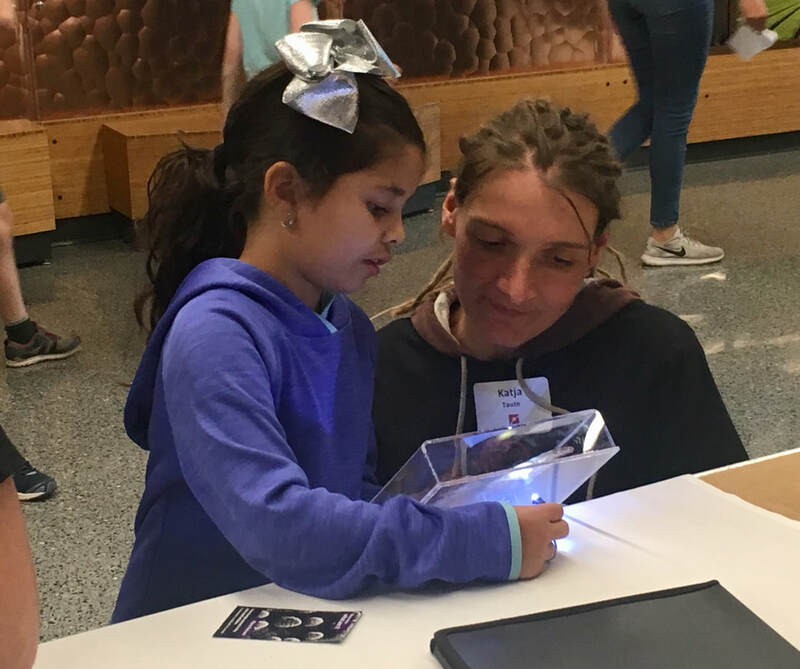 Katja and a junior scientist explore the origins of the beautiful colors of butterfly wings at the Museum of Science, Boston, in July 2018.